It seems as if Facebook has managed to steal the top spot when it comes to total number of unique visitors for any social media site. Facebook was founded on February 1, 2004 in California, U.S. and now is a tough competitor for sites like MySpace, Orkut, etc. Mark Zuckerberg launched Facebook on February 4, 2004. Initially the site was intended to build a social network exclusively for Harvard University students. To measure its success, we witness the fact that within two weeks of its launch, half of the student body at Harvard University joined Facebook. Not only this, other schools and universities demanded an online social network such as Facebook for them. And with this growing demand, it was recorded that at fall 2007, over 1 million users signed up every week, 200,000 daily. This staggering growth made Facebook the most prominent social media site as it had over 50 million active users by fall 2007. Data from comScore states that by end of December 2008, Facebook managed to attract over 221 million users worldwide as compared to Blogger’s 225.5 million users. And assuming Facebook’s upward trend, it is expected that it might beat all other sites and hold the top spot for a long while. 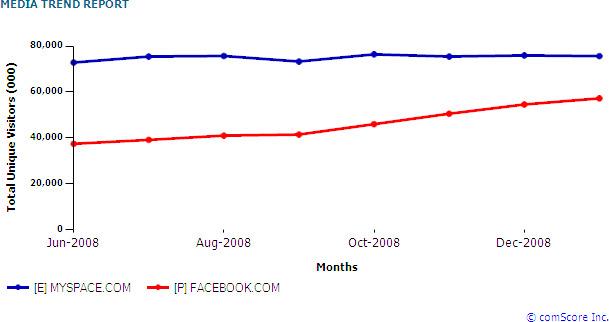 The reason for Facebook being so popular is because it different from the rest in real terms. 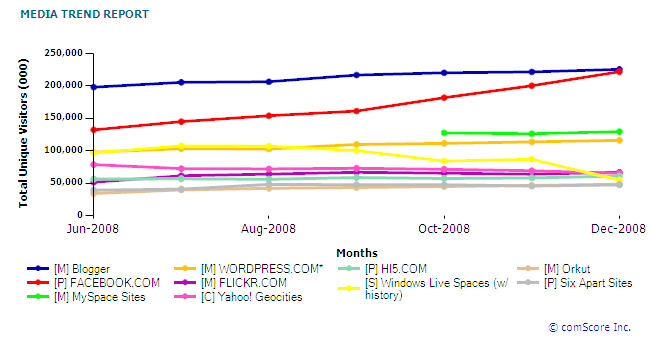 It is the only social media site that has managed to show consistent healthy growth since the time of its launch. How to find the Best Portal Developer?